Facebook has overtaken Microsoft as the second most-viewed website in the UK. The social network has been expanding rapidly over the past two years – membership has grown by 41% since 2011. The figures were released by Nielsen, which provides research into viewing and internet habits. 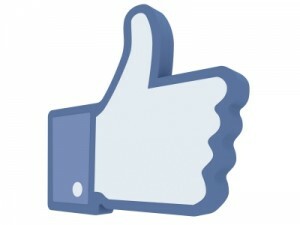 It found that, in May this year, Facebook had 26.8 million visitors in the UK, compared to MSN’s 26.2 million. Facebook is obviously a site on its own – but Microsoft’s visitor figure includes those using Bing, MSN and Windows Live. The figures underline the way social networking is overtaking traditional webpages – and shows Facebook now has a farther reach for social media marketers than Microsoft’s entire suite of online services. Google remains the most visited website. LinkedIn, the business network site, grew 57% in the month from April to May. And Twitter say a rise too, with 34% more visitors, taking it to 6.14 million unique visitors from the UK.